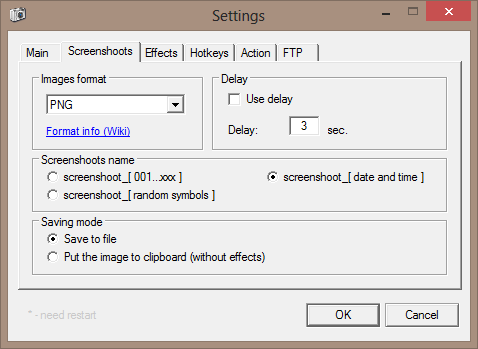 Free Shooter is tiny (485 KB uncompressed) and simple yet capable and customizable screen-capture tool. 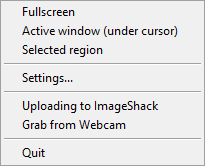 3 capturing modes - "Fullscreen", "Active window" and "Selected region". 5 output formats- BMP, GIF, JPG, PNG, TIFF. 2 save modes- to file and to clipboard. Download the portable 7-Zip archive (freeshooter_1.9.6_bin.7z). Extract the archive to a folder of your choice. 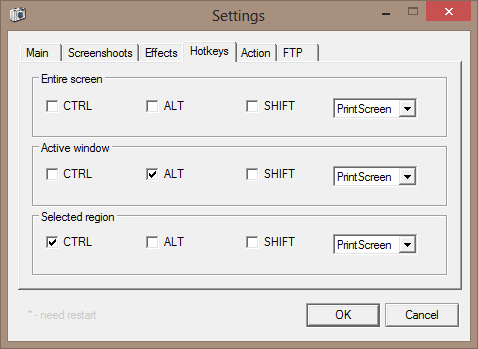 Settings are saved in an INI file (freeshooter.ini) inside program folder. Free Shooter is licensed under GNU GENERAL PUBLIC LICENSE Version 2. Free Shooter is created by the developer of Mem Reduct, which is in the database and has been discussed in the forum. There is a untranslated into English text string- see "Settings - Action" screen-shot. Free Shooter is most likely abandoned- the latest release (1.9.6) is from 2010.04.08, yet it runs fine on Windows 8 x64. Forum member TP109 might be interested to test Free Shooter and include the result in his Screencapture usage tests. I am sure that Free Shooter is harmless and that these 12 malware detections are false positives- otherwise I would not have posted about it. Anyway, use it at your own risk. How much RAM is it using on your machine? It seems most programs get classified dangerous early on. Hopefully that will probably get resolved with time, especially as it's open and hosted on Github. Free Shooter uses about 5 MB RAM on my machine. About the untranslated strings- I contacted the developer but I didn't get any response. I suppose I might be able to fix most of these untranslated strings. Got back to this program finally but I wasn't able to start the program in Win7x86. Case opened. 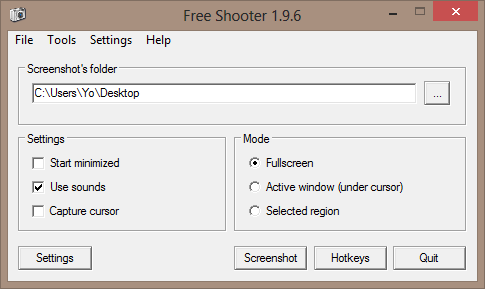 BTW: Freeshooter is not abandoned, it reached v 2.0.1 (last update from 28.01.2018) and there is now a x64-version. I tested it on a Win 8.1 x64 machine and it works just as expected. Appication is stealth (when creating the "freeshooter.ini" inside the folder, like the author recommends). Nice little tool and really helpful if one wants to avoid NET. 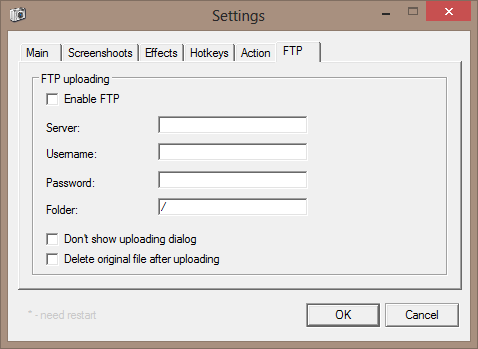 FastStone ScreenCapture unfortunately has a lot of problems since I moved to Win 8.1 and the only other alternative for me was ImageUploader - until now. Should definitely be added to the database! Glad to hear it, will try to check that out again in the weeks ahead. As much work as I've put into promoting various screen capture tools that function as alternatives to FS SC, that's still one of our most popular entries despite being almost ten years old. It's a great example of how sometimes the first program you use for something becomes the standard. Yes, FastStone Capture was/is outstanding - way back the killer-feature was the ability to capture whole webpages including scrolling. Unfortunately this feature was the first to become unusable. I don't remember exactly, but with InternetExplorer, K-Meleon and earlier Firefox-versions it worked somehow, but it's years ago, that I managed to capture a whole page with it. I nevertheless kept it because of the wonderful paint- and annotation-tools and the integrated color-picker, but after changing to Win 8.1 x64 the tools occasionally didn't show, froze or saving was not possible - so I had to let it go. I added Free Shooter to the database. 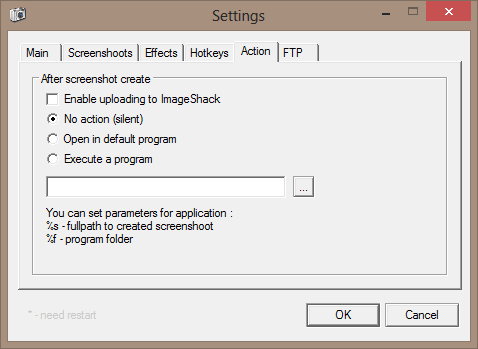 Free Shooter is an alternative to simple capture tools abandoned long ago which do not work well or do not work at all on modern versions of Windows- for example HoverSnap, Snapshoter, Screeny, etc. There are also absolutely terrible ones like 7capture. So at least one third of the 26 items in Graphics - Screen Capture category are very poor, barely usable and abandoned long ago. For me Free Shooter a very simple but nice tool which has its uses. Awesome, thanks for doing that.